This is a guest post by 2013 Wine Tourism Conference speaker, Don Bourassa. Who’s drinking my wine? Who’s coming my tasting room? What do these people have to say about it? How can I leverage free online resources to dial my service up to 11? 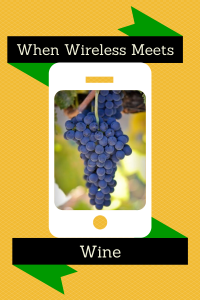 The wireless world touches wine on so many levels. It allows locals to get in touch with small, previously unknown local labels. It helps tourists determine where to visit and spend their dollars. It’s the ultimate sorting mechanism that millions upon millions of people across all demographics are using to ensure they find the wines and tasting rooms they want, and avoid those they don’t. And most of these sites allow businesses to engage with both current and prospective clients for free. Think smartphone enabled folks are not your demographic? Think again. A Search Engine Land study notes that 85% of people turn to the internet before they make purchasing decisions. People trust online review sites more than advertisements. Even my 75-year-old father searches Yelp from his iPhone before eating or drinking anywhere. And he’s not alone. Yelp sees over 108 million unique visitors a month searching and reviewing businesses across all spectrums. It’s used by tourists and locals alike to inform their buying decisions. And this is just one of many sites that can help people find wineries, tasting rooms and retail outlets. The When Wireless Meets Wine breakout session will focus on all levels of online review and marketing sites, discussing who uses them (demographics, numbers and more), the best practices for leveraging these sites, and how to engage with your prospective audience. Don Bourassa, 5-year Community Director Yelp in Portland (and wine enthusiast) is partnering with Paul Wilke from Upright Communications (an expert in tourism and communications) to bring you an action-packed and information-heavy session on how you can best use social media to get new customers and to keep your current customers happy. “But the interwebs are overwhelming!” It’s easy to feel this way. There are some simple tricks you can use to sort out which outlets are important to you and to create an effective and cohesive strategy for managing those outlets. We’ll help provide you some tips and tools to get started and warn you of pitfalls to avoid. All while backing it up with some pretty compelling information on what’s actually happening out there online. Trust us, you’ll be surprised. And don’t worry, we’ll save some time for those burning questions at the end. Don Bourassa is a long-time lover of wine, beer, spirits and food (not necessarily in that order). Formerly a lawyer by day and oenophile by night, he’s transitioned into the exciting world of online consumer reviews and hasn’t looked back. Don has been working with local business owners across all spectrums (including wineries and tasting rooms in the Willamette Valley) for the past 5 years – helping them get more connected with great local (and traveling) consumers via Yelp and other social media.